Liverpool moved back on top of the Premier League thanks to a 3-1 win away to Southampton last Friday. However, it was not as easy as it sounds as the Reds were required to come from a goal down to dispatch the Saints. Southampton took an early lead inside 9 minutes through Shane Long but Naby Keita equalized 8 minutes from halftime to see the half end 1-1. With 10 minutes of the 90 to play, Muhammad Salah gave Liverpool the lead before Captain Jordan Henderson sealed victory six minutes later. With Man City not in action, Liverpool who have played a game more than Pep Guardiola’s side, now top the standings with 82 points, two more than City. In the battle for top four, Arsenal’s hopes of returning to the Champions League suffered a blow as they lost 1-0 away to Everton on Sunday. Phil Jagielka scored the only goal of the game on 10 minutes, one which proved too much for Arsenal in the end. The loss means that the Gunners remain fourth on the table with 63 points, level with Chelsea in 5th and one behind Spurs who sit in 3rd. Elsewhere, Burnley defeated Bournemouth 3-1, Leicester beat Huddersfield 4-1 and Crystal Palace dispatched Newcastle United 1-0 at the St. James’ Park. Chelsea are at home to West Ham United on Monday, April 8th. Here is the XI players that stood out in game week 29 according to PML Daily Sports Editor, Shaban Lubega. Made 7 saves as Palace beat Newcastle United 1-0 on Saturday afternoon. You can’t go to St James’ Park, win 1-0, keep a clean sheet and not have at least one of your defenders in my team of the week. Wan Bissaka was my pick out of the 4 Palace defenders as he once again patrolled the Right flank like he owns it. Being eased back into the team after a lengthy lay-off, Mendy did not show any signs of rust as City marched onto the FA Cup final at the expense of Brighton. What a player Van Dijk is! He was at it again on Friday as Liverpool overcame Southampton 3-1. Jagielka’s 10th minute goal was all the Everton required to take care of Arsenal 1-0 at Goodison Park on Sunday. He was in the thick of things as Leicester beat Huddersfield 4-1 on Saturday, scoring the opening goal. Scored the winner from the spot in Palace’s 1-0 win away to Newcastle United. Came off the bench with 21 minutes to play, assisted Salah’s equalizer and scored the third as Liverpool beat Southampton 3-1 on Friday. 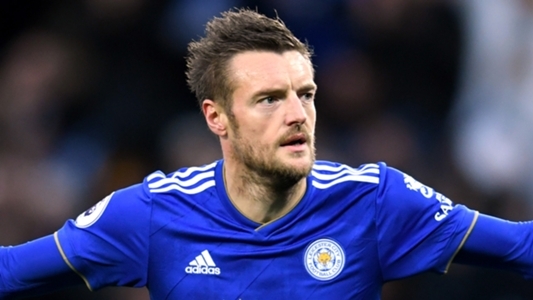 Vardy struck twice as Leicester powered past Huddersfield 4-1 on Saturday. He is one hell of a player at his best and one frasurating fella when off form. Deulofeu was at his best, scoring twice as Watford defeated Wolves 3-2 on Sunday to reach the FA Cup final. Scored one and assisted the other as Burnley defeated AFC Bournemouth 3-1 away from home on Saturday.